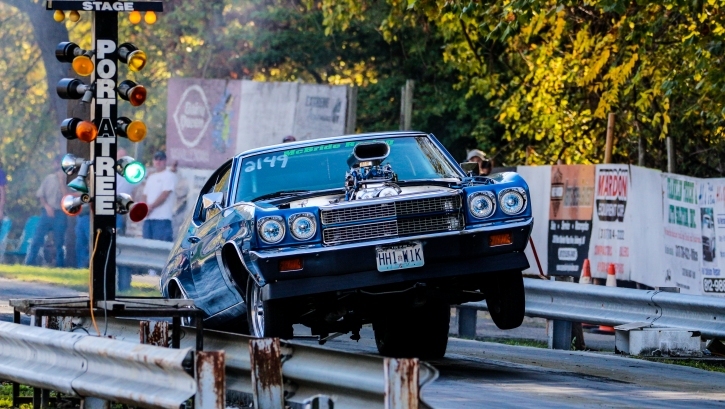 This 1970 Chevelle Is More Than Awesome! I’ve had many offers on the car, but I’ll never sell it…I’m pretty sure I’m gonna be buried with it! Reading the above it’s not hard to figure this 1970 Chevy Chevelle was Blu’s first car ever and boy she looks fabulous now isn’t she? Over the years Blu has done everything but the body work and paint himself, which made him even prouder with the old Chevrolet he didn’t like at all back in the day. 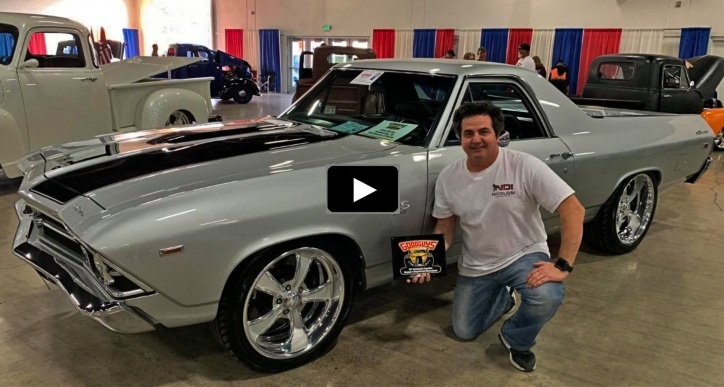 This astonishing 1970 Chevy Chevelle was painted 15 years ago, it is all steel with a weight of 3,950lbs, is has a full interior and Blu has hand built the frame rails, 4-link and tubs. 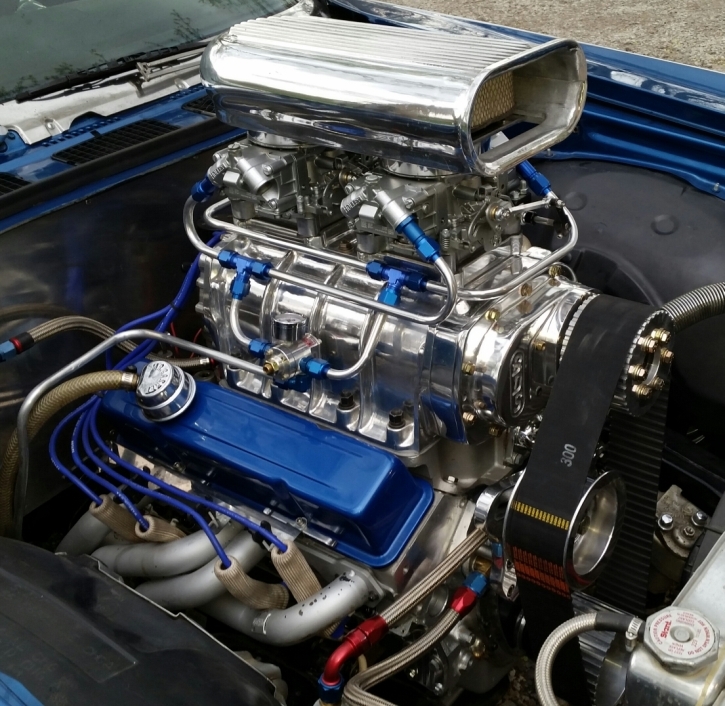 The motor is a beefed up 355 cube O-ringed block with eagle crank, H beam rods, studded 4-bolt mains, patriot heads, twin 750 Holley’s and a 671 Teflon blower all put together by Mr. McBride himself as well. 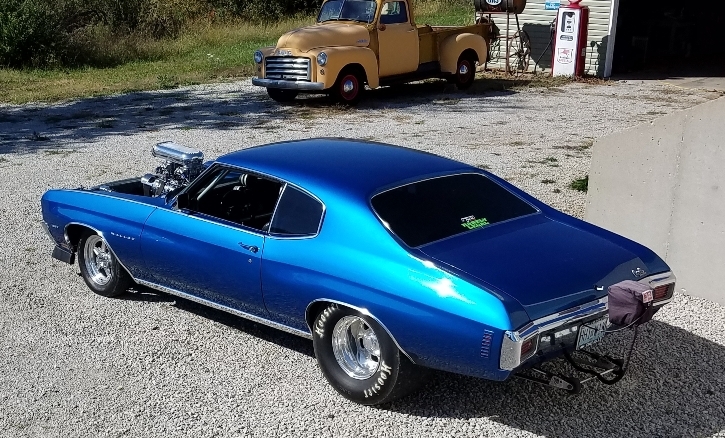 You can see Blu cruising around Kearney Missouri area with his Blown 1970 Chevelle, drag racing it at his local track as well as competing with some fire breathing muscle cars at the Brown County Dragway. He currently scores low 6-seconds at over 100mph on the 1/8 mile, but is convinced that soon she will be in the 5’s. Last but not least Blu says Big Thank You to his Mom and Dad for all the support!